Freight logistics software for small businesses running on Xero + Amazon FBA. solving big problems for small businesses' logistics. seamless integrations for lightning fast accounting. our major use case, showcased. Freight shipping is hard. Many startups are trying to solve this for big companies in the market, but nobody is paying attention to the little guys¹. These are usually the same businesses who are customers of Xero accounting software services, so I decided to create something that benefits those small businesses. ShipX helps Xero customers manage their overseas shipments and import data directly into Xero for future accounting and expense management. It’s genius, really. And it helps them automatically transfer their ShipX shipment/sales information to your software every time they make a dispatch. Our motto? Ship smarter. Sleep better. By using a belt of different tools, I was able to create a minimal MVP in a short amount of time. Rails abstracted a lot of extra work I would've encountered if I had used Node.js. I went for a more polished, dark blue theme for the css of the landing page. I also used gems like xeroizer, peddler and cancan to make sure that the users were required to add their Amazon FBA account right away so that product data automatically synced with Xero. 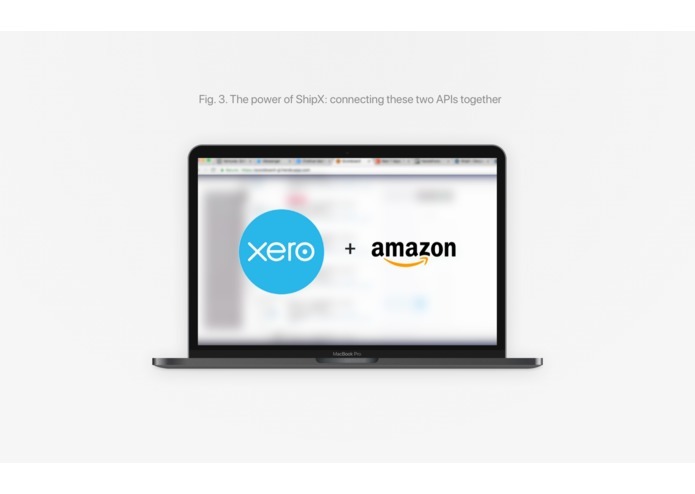 Once they were connected on Xero, ShipX automated the transfer of sales and dispatch data to Xero. And there was no more need for sellers to struggle over efficient bookkeeping. Xero takes care of it. How do we help the end user? We handle the number one struggle of small-time FBA sellers when they are first starting out with selling products on Amazon: shipping it to their customers and managing their accounting properly. Too many distributed solutions exist for one central problem, but ShipX solves all of this in a minimal package. Sellers connect their Amazon and Xero accounts to ShipX. Inventory is imported from Amazon and all sales data is updated. They look at our marketplace of freight import options and choose which one is best for them. 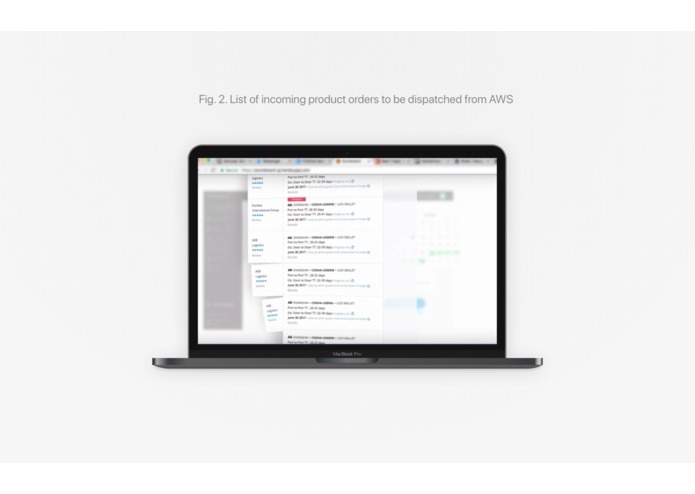 Shipping dispatches are sent and FBA Sellers track their shipments in real-time. Items are sent to Amazon fulfillment centers whereas inventory/sales are synced with Xero. This makes getting international products into country super easy for first-time, small e-commerce store owners. The main challenge was creating a minimal app that was functional for the hackathon, but also feasible in the amount of time given. So, I settled for using third party APIs to handle the heavy load of business logic and the biggest obstacle of finding existing freight providers to calculate dispatches with. After knocking this obstacle out the way, everything else was doable. What's next for ShipX + Xero? In terms of Xero, I’d like to work more on coming up with implementations for Xero’s Inventory feature and other features. I’d like for people to look at the two platforms as hand-in-hand necessities when building an e-commerce business. As for ShipX, I want to completely automate the process of inventory management via freight forwarding for small businesses. For me, this means starting with users that inhabit platforms like eBay, Shopify, and Amazon FBA to expand the process of digitizing this antiquated system of overseas transport. I’d like for my solution to become the de facto standard of online fulfillment. Seamless accounting. Lightning fast freight forwarding. Xero + ShipX is solving big problems for small businesses' logistics. I implemented the full-stack development and design of this web app by myself. 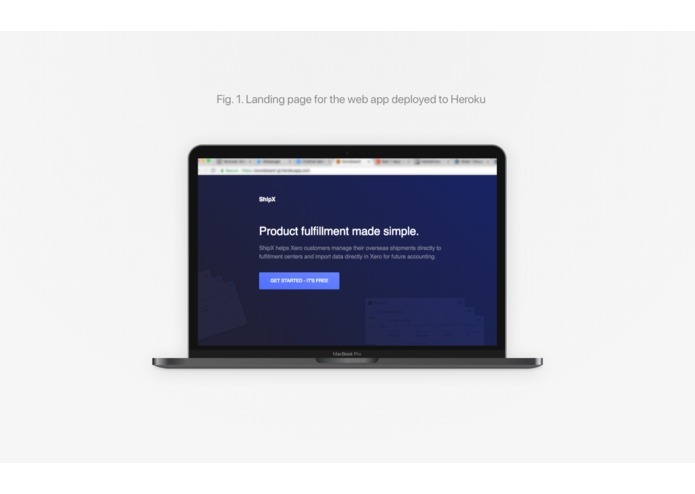 I used Sketch, React, SQLite3, Xero APIs, Amazon Marketplace APIs and Ruby-on-Rails. Submitted the project but I'm gonna add a few tweaks before wrapping everything up. Just added in the code snippet explaining the integrations to the summary. Finishing up the development before deploying to Heroku. I have to get the screencaps and videos ready.